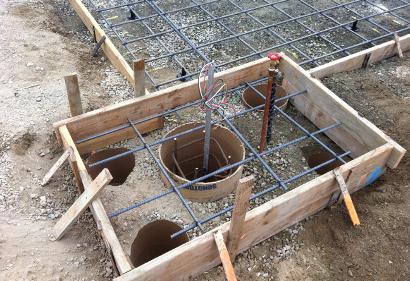 Relocation of existing light pole, water and air sources toward the side of the property protected by multiple bollards. Eco was tasked by California Army National Guard to perform a removal of a 5,000 gallon fiberglass double wall UST and fuel island within the work bay at the Field Maintenance Shop. The site had two bays that were inadequate for the vehicles they service. Eco removed the UST and associated components to ready the site for renovation.